Learn about the fees and expenses for the MMA program, and the financial aid available to you as a Rotman student. Tuition (academic) fees, University incidental fees and Rotman ancillary fees are set annually by the University and are subject to change. Fees are subject to approval at the University of Toronto Governing Council’s annual meeting in spring. The Rotman School strives to recruit the best candidates to its programs, and is committed to helping you afford your education by providing you with a broad range of financial options. Awards of up to $5,000 are granted to future female MMA students demonstrating exceptional merit. One award of $4,000 will be granted to a future MMA student who demonstrates interest or activities based in innovation as part of their application. The Rotman School is invested in admitting strong candidates who reflect the diversity and accomplishments of our community. We are particularly looking for driven candidates who are committed to integrity, excellence, collaboration and respect. Entrance awards range from $5,000 - $15,000, including the Director's Award and the Vice-Dean's Award and are awarded to future MMA students who demonstrate exceptional merit. No separate application is required and all applicants will be automatically considered for entrance awards when their application is reviewed for admission. Jointly supported by the Ontario Government, the University of Toronto and donors to the Rotman School, these scholarships are intended to encourage and support academic excellence at the master’s and doctoral levels and are awarded to domestic students enrolled in full-time studies who have obtained a first class standing. 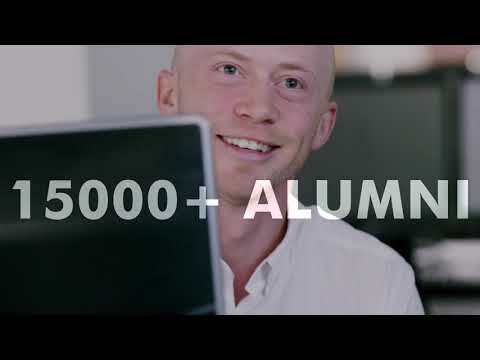 An Ontario Graduate Scholarship at the Rotman School of Management is held for one year and valued at $10,000 to $15,000 per year, thanks to the generous support of our donors. The Rotman School’s deadline for 2019-20 OGS applications is: For Canadian citizens or Permanent Residents: May 1, 2019. Students interested in applying for an Ontario Graduate Scholarship should consult the Rotman Office of the Registrar and Academic Services website for reference on eligibility, conditions and application forms. All domestic students (Canadian citizens, permanent residents) can access an interest subsidized loan to cover the full cost of their tuition, University incidental fees and Rotman-specific ancillary fees from the Royal Bank of Canada (RBC) or Bank of Montreal (BMO) for the MMA program. International students (those on study visas) can also access a RBC or BMO loan secured with a qualified Canadian resident co-signer, cash collateral, or standby letter of credit. The Rotman School pays the interest incurred on this specialized student loan for the duration the student is enrolled in the MMA program up to June 30 of their graduating year. Students who have obtained student or education loans from an officially recognized financial institution (in Canada or in their home country) can enroll in the Rotman Interest Subsidy Program (RISP). The Rotman School may provide a subsidy for the interest incurred on a student loan for the duration the student is registered in the MMA program up to June 30 of their graduating year. The subsidy will be calculated based on the prime interest rate (in Canada) and a loan amount not to exceed the tuition, University incidental fees and ancillary fees of the MMA program. The Master of Management Analytics program is considered a full time program, and as such, students are eligible for Canadian government loan programs. Each provincial government in Canada administers and maintains a student financial aid program in cooperation with the federal government’s Canada Student Loan (CSL) program. When you apply to your provincial government for assistance, you are also automatically considered for a loan through the CSL. For more information, consult the Ontario Student Assistance Program (OSAP) website. The LLP allows individuals to withdraw amounts from their registered retirement savings plans (RRSPs) to finance their own education or that of their spouse/partner. Amounts withdrawn under the LLP do not count towards income and the RRSP issuer does not withhold taxes on these amounts. Withdrawals must be repaid over a period of no more than 10 years. For more information, consult the Canada Revenue Agency website. An RESP is an education savings account that is registered with the Government of Canada for parents who want to save for their child's post-secondary education. Once the child (the RESP beneficiary) has graduated from high school and enrolled full-time or part-time in a qualifying post-secondary educational program, the Plan holder can request, on his or her behalf, to withdraw money from the RESP to help pay for their studies. Educational Assistance Payments include the interest earned in the RESP as well as any Canada Education Savings Grants, provincial grants and Canada Learning Bonds received. The money can be used to pay for post-secondary school expenses like tuition, books and transportation. For more information, consult the Canada Revenue Agency website. The United States provides financial assistance to U.S. citizens studying at the Rotman School through the USA Federal Direct Loan Program. Details and application instructions can be found on the University of Toronto’s Enrolment Services website. IPS is a program providing grants-in-aid for selected women from other countries for graduate study in the United States and Canada. An applicant must be qualified for admission to full-time graduate study and working toward a graduate degree in the college or university of her choice in the United States or Canada. A student holding citizenship in the United States or Canada is ineligible. For more information, visit www.peointernational.org. International students are also eligible for many of the School’s scholarships, fellowships, and teaching and research assistantships. A number of organizations also offer scholarships, fellowships and loans to citizens of various countries to study in Canada. These programs have not been screened by the Rotman School, and students are individually responsible for applying.